V.com weekend vote: Have you ever quit your instrument for a period of time? February 16, 2018, 1:02 PM · Have you ever wanted to just quit? Have you ever done it? Did you come back? And then what made you come back? For me, I've never really quit, though I've had periods where my focus has been elsewhere. After I got my degree in music, for example, I went on to get a master's degree in journalism. I still played and took lessons during that time, but it was not with the same intensity as I did as a music major! And certainly, injuries, motherhood, attempting to pay bills with other work, etc. have meant for periods of less playing. There have been times when I've wanted to chuck the fiddle out the window (so to speak, never literally!) -- like after bad auditions, frustrating performances, or life's difficulties simply piling up too high. Somehow the music always calls me back. Also, I can tell you that I've taught adults who took long breaks -- 20 and even 30 years! I've found that they are very successful in getting back to the instrument, as long as they put in the consistent practice and keep the faith. 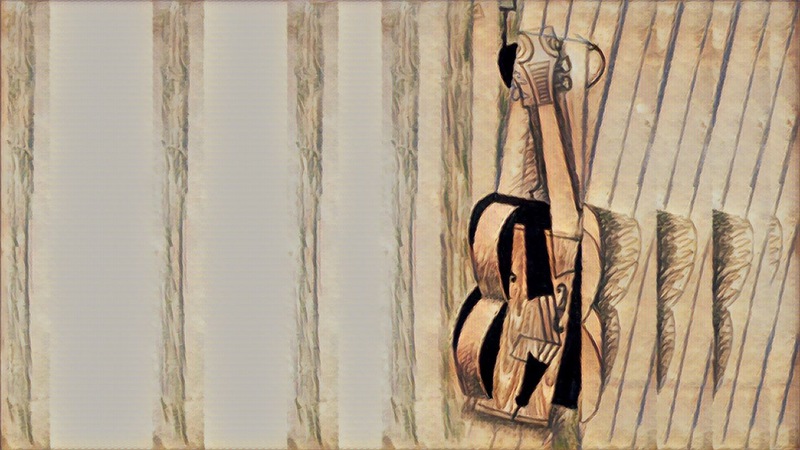 February 16, 2018 at 09:33 PM · I had to give up the cello in my 20s for 7 or 8 years because of the dual pressures of work and studying for an external science degree - it was impossible to attend orchestral rehearsals or find the time to do any meaningful practice. At 30, time was my own once more so I took the cello out of the cupboard where it had been kept for all those years. To my surprise, the A was still in tune and the others weren't far off. I started playing again and after two or three weeks it was like I'd never got off the bus. A few months later I joined another orchestra, Bristol Concert Orchestra, this time for adults because the former one was a youth orchestra and no longer appropriate. The following year I was invited to join Bristol Chamber Orchestra (no audition was necessary, I was told), which I have been a regular member of ever since. About 10 years ago I started taking violin lessons and 3 years later swapped over in the chamber orchestra from cello to violin, which I've now been playing exclusively in orchestras. This account shows that a long gap in playing is far from being a disaster if the player has had a solid background of tuition and playing before the enforced break. The learned nervous connections should still be in place when returning and all that remains is to exercise and strengthen relatively disused muscles and ligaments, which shouldn't take more than a few weeks. It may be useful to have a handful of remedial lessons on returning to the fold - I feel this is important for returning violinists, mainly because the violin isn't as ergonomic as the cello and bad habits, particularly postural, are easy to fall into unnoticed. February 16, 2018 at 09:48 PM · I've had a few breaks of 6+ months -- yet nothing like the 20-30 years of some of your adult students. Never really did "quit" -- I'd describe these breaks more as a few self-imposed layoffs for lack of time -- too many other things to tend to; couldn't really do justice to practicing and playing. Never had the feeling, though, that I wanted to, even figuratively, "chuck the fiddle out the window." Auditions had a way of bringing out my best, and I had a consistent record of winning auditions. What I did, eventually, decide to throw out, though, was the idea of making a living in the music business. I was 21 at the time. Looking back, I'm thankful I made the decision early in life. One former CSO player told me that he always loved the music but grew to dislike doing it professionally. By 21, I could see, still from a safe distance, that I wasn't going to like it, either. Once I got past this point, it was like having a heavy weight fall off my shoulders, and then I enjoyed music-making still more than I had before. February 16, 2018 at 10:24 PM · Yes, from 1983 to 2010. Improvement is glacial, but to paraphrase Laurie, I'm keeping the faith! February 16, 2018 at 10:29 PM · I quit in 1982 after a lesson when my teacher was brutally honest with me- I had to stop trying to play Sarasate's Spanish Dances, imagining that somehow I'd suddenly be able to play them if I just kept trying hard enough, and work on fundamentals that I'd skipped or glossed over as a student. I wasn't prepared to do that much work and admitted to myself that a career as a musician was not in the cards. Fast forward to 2005; both of my children were string/piano students and I started playing again for fun. I played in community orchestras, and we even formed a family piano trio and played weddings, funerals, etc. ; then 20 Broadway shows as a volunteer in a high school pit orchestra, now some jazz... I still have technical problems that I'll probably have forever, and where I live finding a teacher is almost impossible (unless I want to drive 1.5 hours each way), but taking the instrument up again is one of the best decisions I've made. Immense fun and enjoyment, and undying respect for virtuoso players. February 16, 2018 at 10:41 PM · I took a 40-year "vacation" while I raised 3 daughters, went to law school, and practiced law. There was a short "re-learning curve" when I returned after my retirement, but much quickly came back. I now play in an orchestra and have a weekly lesson at age 80. What a blessing to have such a wonderful lifetime avocation. February 16, 2018 at 11:10 PM · First started playing in 1986 (age 8). 2002 is when I bought my first (& only, so far) violin and attempted to re-learn on my own. I just picked up my violin about a month ago. I found a teacher, and with her help, I've been re-familiarizing myself with the basics. 4th half-hour lesson w/Teacher: "Let's try adding the 4th finger in"
Me: "oooh... I don't know that I remember that one." "Oh, hey, there it is! Guess I remember after all." February 17, 2018 at 02:48 AM · I never really consciously quit violin since starting in elementary school but in my 20s through mid-40s there were long periods of time when I was concentrating on other instruments (guitar mainly) where I only occasionally took it out of its case. About 20 years ago I made a conscious decision to make violin my main instrument again and have been playing regularly since. In my early 60s I'm playing better now than I ever did before and am still improving! February 17, 2018 at 02:57 AM · I quit twice, once for grad school when I was getting my PhD and again when my kids were babies and toddlers. It took me about 6 months to get back to my former level, which wasn't all that high the first time. At this point I'm at a higher level than I was as a child or teen, mostly because I seem to have left a lot of the industrial strength performance anxiety behind. February 17, 2018 at 03:34 AM · I was forced to set aside my cello for a couple years due to a nasty shoulder injury that required surgery. Not long after that, we lost everything in Hurricane Katrina (except my cello, which evacuated with us) and spent the next couple years rebuilding. I sold that cello. That was followed by a 1,000 mile move and me enrolling in college for an advanced nursing degree. I just purchased a decent cello this week and am already involved in two civic orchestras in my new city. I decided that I'm one of those people who constantly think about music and realized that I must have it in my life. February 17, 2018 at 05:14 AM · I'm a fiddle player though I'm classically trained on other things and am a full-time professional musician. I sort-of gradually stopped working on my fiddle playing after years of really trying to get the sound I was after. I just couldn't get it, and I had other things at which I was getting results, so I let it slide for about 20 years--still played but, not really working at it. In my case, it was the equipment. About ten years ago, I got a great bow (a friend of mine is a major bowmaker), and then... I got a great violin. Suddenly I could do all the stuff I had struggled so hard to do. Now I do all that, and I'm working up the Bach Sonatas and Partitas! February 17, 2018 at 11:31 AM · I've had three breaks of several months, but none longer than five months. Two, in 2003 and 2011, were forced by injuries after biking accidents. Both kept me out for 3 months. The longest, 5 months in 2007, was caused by severe depression -- and practicing viola was the first thing I was able to get myself out of bed to do again as I recovered; I wasn't able to work full-time for over two years. Three things that didn't keep me from practicing almost daily: medical school, law school, and working as a lawyer. I don't think I'd ever quit unless something makes it physically impossible to keep playing... I started late to begin with, so I have a lot of catching up to do! February 17, 2018 at 03:09 PM · Both times I had to quit was because I broke my wrist. I have taught violin and viola for almost 40 years. I found that my approach during the time of healing changed from demonstrating to conveying suggestions in language. It was possible to help my students find their own way to fix an area of concern. With the cast on I even started a new class of 16 strings at our local Waldorf school. I brought in advanced students to help out. Now after seven months, surgery on my 4th finger and weeks of occupational therapy, I am playing again on a 1/2 size violin. What a relief. I hope to be playing soon in my string quartet and the local community orchestra. February 17, 2018 at 03:39 PM · I started in 4th grade and played well into my mid 20's then sold my violin and didn't pick up again until I was 48. Life, career, kids, all took my time. Now that life has slowed down, I realized how much I missed it and enjoy playing again. February 17, 2018 at 03:53 PM · Took a 2 years hiatus starting from grade 10 because of the whole "let's do an exam so you have something to work for" idea I was drawn into at the time. Later proved to be a mistake because my teacher at the time did not address many of the bad habits I was making (which I later found out and corrected with another teacher). When I started university, there was an orchestra that motivated me to pick up the instrument again, and furthermore led to resuming lessons another 2 years later. February 17, 2018 at 04:56 PM · Not quit, exactly. But there was a year or two when I left an orchestra that was my main source of playing, to deal with a family emergency. I eventually found an excuse to get back into some chamber music, and I found a teacher again. I'm now back at university again, and shuttling among a bunch of orchestra gigs. Things could be better (violinistically-speaking), but could be a lot worse, as well. February 17, 2018 at 08:35 PM · I've thought about quitting violin before, because I wasn't any good. The only thing that kept me going was that I have too much invested in it. Now I mostly still don't like the way I play, but quitting doesn't come to mind because I've discovered that group beginner violin is pretty much my favorite thing to teach. February 18, 2018 at 10:44 PM · I stopped playing for several years because I was too busy and working too hard on college, grad school, and getting my career as a scientist started. I was also sort of brain dead for the last couple of years of my marriage. After my marriage ended, I resumed some of my old friendships and went back to playing my violin. The latter was like returning to an old love. Now I teach violin. Some of my students are adult students are re beginners and I encourage them to resume doing what they love. February 19, 2018 at 02:09 AM · ~ to All! How fascinating to read so many stories of every violinist or cellist writing here so far!! February 19, 2018 at 02:25 AM · Although I was given a scholarship that matched my out of state tuition to play violin in the school orchestra, I could only use it four sememsters as my major in engineering took much of my time. About seven years later, after college and a stint in the army, I got it out only when bored. Shortly after being recruited to sing in my church's choir I was asked to play it in our youth group's musical. I really enjoyed it and tried out for a chair in our professional orchestra. It was then I found out I had collected many bad habits and was told to take lessons which I did. Eventually I got gigs playing in temp orchestras (church had special production around Christmas or Easter) and was a charter member of a community orchestra. Still play and experiment with a music notation software (currently working on Grieg III). I regret the time I was out of it which was around 12 years. February 19, 2018 at 06:27 AM · I quitted for more than 20 years due to immigration, education and career development, etc. I got back in my mid-40s and now I'm playing better than I ever thought I could. I took an early retirement last year, and now am enrolled in a post-secondary music performance diploma program to give myself a more structured and well-rounded music learning experience. I'm loving it. February 20, 2018 at 09:12 PM · My first instrument was the cornet, which I started at age 8 and played all the way through high school. A tragic turning point (for many, I'm sure) came when our high school music teacher was hit by a train on the way to one of our band's concerts. Between this, the family pressure that makes a teen rebel, and a change of life in general, I didn't touch an instrument for over 25 years. But the music was still in my head, and I found myself fitting chords to it all, so I took up guitar, then drifted into mandolin. A friend was taking up banjo at the time and we joined the local bluegrass scene. Said friend gave me an old fiddle, and I started noodling. Another friend (with the help of Corelli) seduced me into baroque and classical music. Now I'm playing bluegrass fiddle, 2nd violin in an informal string quartet, and viola in a community orchestra, and am making up for lost time. Strictly amateur, though - I'm having way too much fun to do it for a living.